Ford is celebrating a milestone today. The company’s Rouge factory in Dearborn turns 100. Celebrating 100 years at Ford’s Rouge factory means looking at the past and while keeping your eyes on the future. Bill Ford said,“I love this place.” The party started in the early morning hours with a drone light show. Ford is celebrating a milestone today. 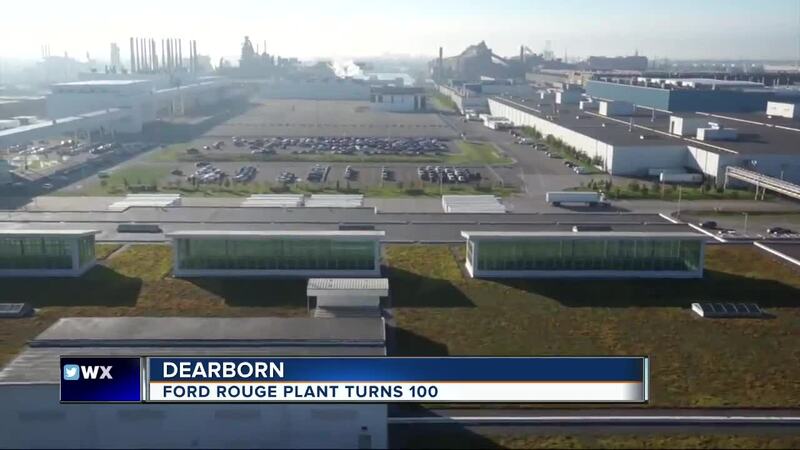 The company’s Rouge factory in Dearborn turns 100. Celebrating 100 years at Ford’s Rouge factory means looking at the past and while keeping your eyes on the future. The party started in the early morning hours with a drone light show. The 100th-anniversary celebration is the perfect place to announce its future, which includes a technology center. Starting in 2020, the factory will build hybrid F-150’s. The company’s history doesn’t just run down the factory line, but also through the employee's veins. Ford calls this a family business. 86-year-old Willie Fulton is the longest working employee in the company. He’s been working at the plant for 65 years. Fulton’s first paycheck was less than $2 an hour; he says he makes much more than that now. He doesn’t have plans to retire any time soon. “Ford is a family, so that’s what made me stay at Ford,” Fulton added.